The East Asian Collection comprises print and electronic books and journals in Chinese and Japanese languages. The Collection focuses on the arts and humanities, social sciences and architectural history. The print collection is housed on level 4 of the Eastern Resource Centre (ERC). However, the Collection also contains a wealth of online resources that University of Melbourne staff and students can explore from anywhere in the world. The East Asian Collection is designed to suit the research and teaching needs of the Asia Institute and the broader University of Melbourne community. Members of the public are welcome to visit and use the print collections in the ERC. The East Asian Collection comprises print and electronic books and journals in Chinese and Japanese languages. The Collection focuses on the arts and humanities, social sciences and architectural history. 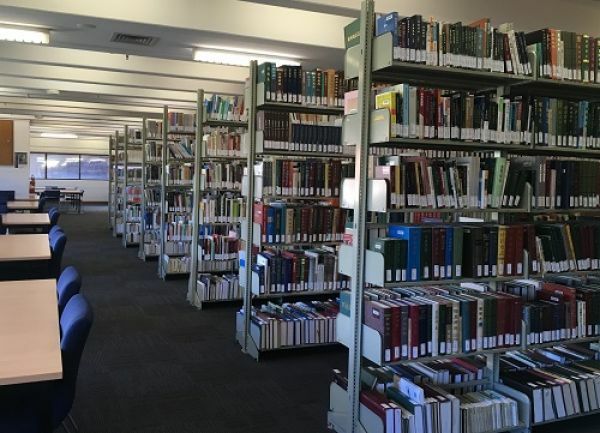 Although print resources are physically located in the Eastern Resource Centre (ERC), the Collection also contains a wealth of online resources that University of Melbourne staff and students can explore from anywhere in the world. Explore the Subject Research Guides below for help with your research. A guide to researching Chinese studies and Chinese language materials. A guide to researching Japanese studies and Japanese language materials. A guide to researching Taiwan studies materials. A guide to Asian studies materials. The East Asian Collection is available during the Eastern Resource Centre's opening hours. The East Asian Collection is located on Level 4 of the Eastern Resource Centre.